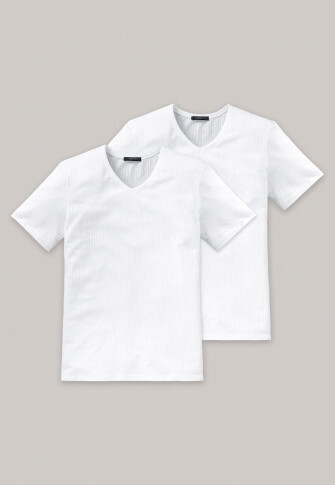 Masculine, pure, in a practical double pack: These two white tees for men impress with an authentic design and the best material. 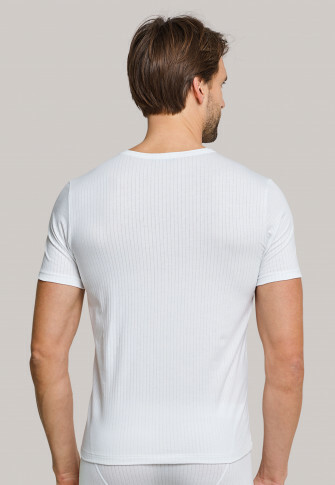 Top quality single jersey with fine stitching not only promises a beautifully comfortable feeling on the skin, but the flat needlework and close-fitting cut also guarantee an optimal fit. 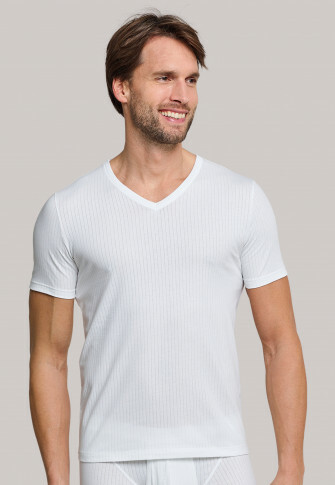 The ideal t-shirts for men who value comfortable basics in top-of-the-range SCHIESSER quality. Gute Qualität, *** Immer wieder gerne. Sehr schön ist der V-Ausschnitt. Das Hemd ist angenehm zu tragen.